During the tutorial I learned different techniques that are used to set up the game environment. One the following techniques is the lighting. Lighting is a vital and important because it allows the user to see the environment and bring it to life. Without lighting the environment is dark a gloomy. In previous projects, I already knew how to do lighting, but i wanted detailed lighting i need more lights and stile shadows. However that uses up a lot of process power and slows the game down. In order light a scene efficiently, Light baking is used. 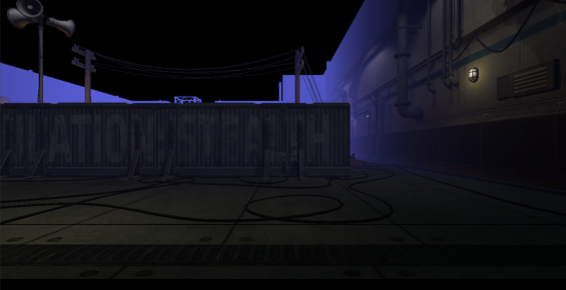 Light baking is using the light maps in your scene and lighting the scene. 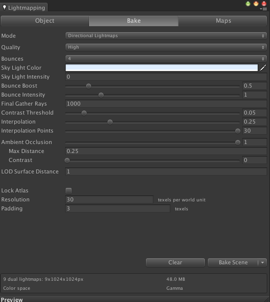 Shown below is an example of using Light mapping for the environment in Unity 3D. In figure 1 it shows the light mapping option window. In this window you select the settings that you want the light to bake. 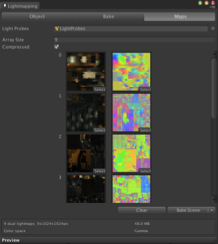 In the light mapper window you can also see what objects and assets you selected to be light mapped. Figure 2 shows the light maps that you have selected and going to use in the scene. 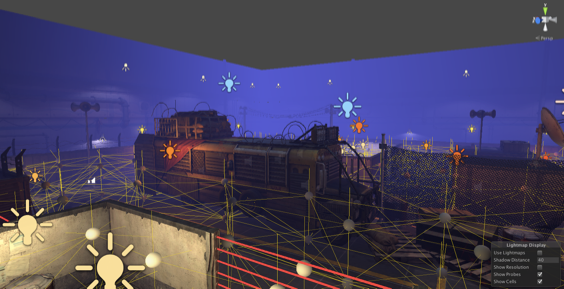 Figure 3: Lightmapped probes in the scene. Above in figure 3 is all the light probes in the scene. 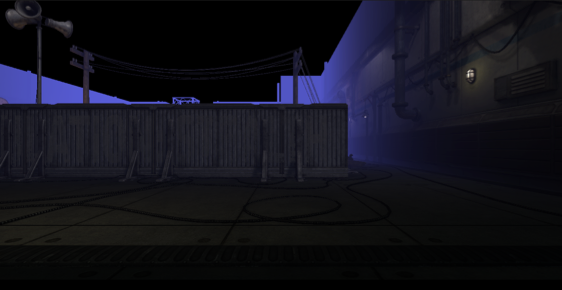 This shows you the areas that are going to be baked in the scene. Once the settings are done, the scene is ready to be baked. By learning how to light map the environment, it will allow to in the future to create environments and light them efficiently in order to make the game look good and detail but yet not use a lot of process power. 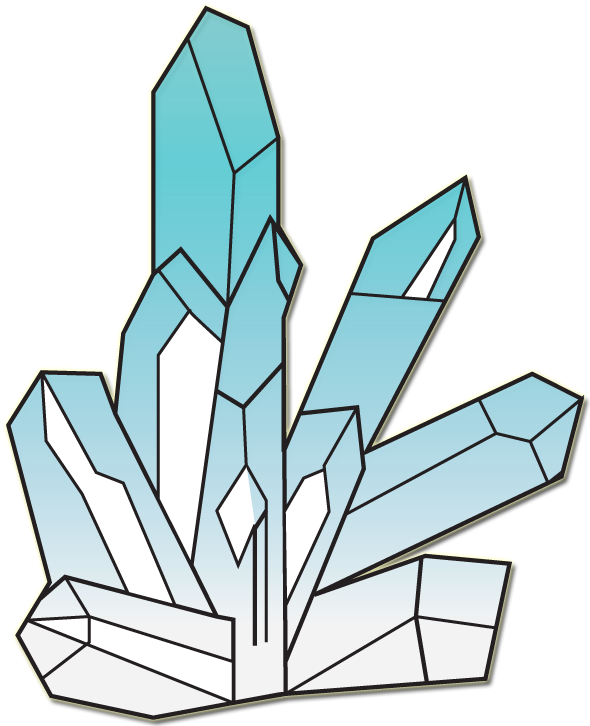 In this blog, I will be recording any new techniques or findings from tutorials and websites. I will be using these findings and techniques in future projects.